A plethora of ethnicities and cultures all merged in the creation of the award-winning Superkilen Park in Copenhagen, including ingredients from Egypt and other Arab countries. Superkilen, an innovative park located in Copenhagen, was created for the people and by the people. A driving motive behind its creation was underlining the diversity that results from merging multiple voices which, together, contribute to the development of a public space. Officially launched in 2012, Superkilen was designed by the arts group Superflex, in collaboration with Bjarke Ingels Group and Topotek1, a German landscape and architectural firm. 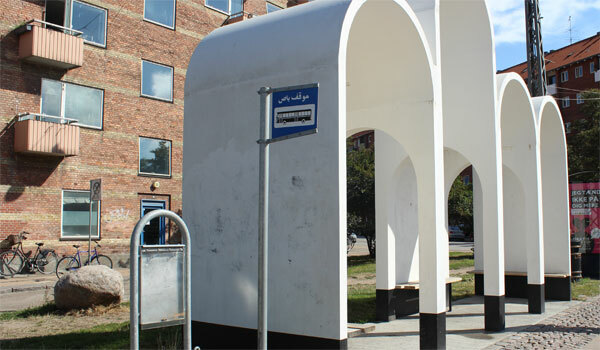 The system of the park’s creation is based on ideas contributed by the people of Nørrebro, a district largely inhabited by immigrants predominantly from the Middle East and South Asia, including Arabs, Turks, Pakistanis, Bosnians, Somalians and Albanians among other ethnic groups. It is interesting to note that the district witnessed a few riots that marked Denmark’s history, including the 1993 violent confrontation between the protesters and Danish police forces when a considerable chunk of Denmark’s population was opposed to the Danish ‘yes-vote’ to the European Union. Today, Nørrebro is home to over 60 nationalities — a large ethnic diversity being one of the core challenges facing Denmark’s government on daily basis. Opinions remain divided on how well the Danish government handles the integration of immigrant minorities into the larger social context. 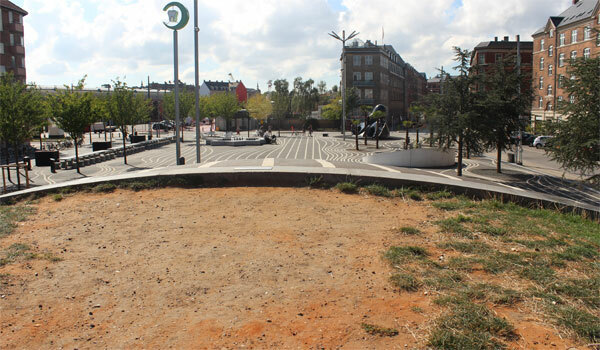 Superkilen Park, however, is one of the tangible results springing from the efforts exerted to utilise the differences characterising each immigrant nationality and ethnicity to its own benefit as well as Denmark’s. In doing so, the park becomes a multicultural symbol that successfully combines the best of all worlds. 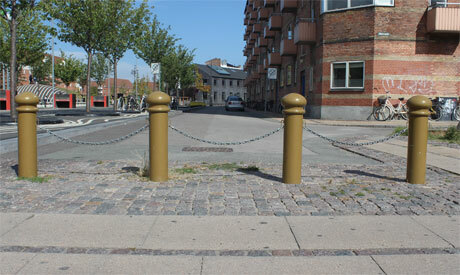 Superkilen Park in Nørrebro is almost one kilometre in length, divided into three sections. The Red Square area is characterised by the predominance of the colour red. The Black Market area comes next. Though the neighbourhood’s inhabitants hoped for it, the zone is far from being an actual black market facility — the only wish not approved by the authorities managing Superkilen. Instead, the Black Market is where people can relax, play chess or backgammon, enjoy a barbecue while their children use the black, Japanese, octopus-like slide. Finally, the Green Area owes its name to the vegetation and flora brought in from different corners of the world. Created with the intended purpose of bridging ethnic differences, as well as narrowing the gap between immigrants and the rest of Danish society, the park’s 30 000 square metres are home to a plethora of elements suggested by the neighbourhood’s inhabitants. These include special slides, swings, trees and bushes, sculptures, lampposts, small streets, dog walking areas, recreational activities, litter bins, slopes, cycling tracks and numerous other culturally- and ethnically-inspired choices. Arab and Middle Eastern communities added their pinch of salt to the diverse pie. 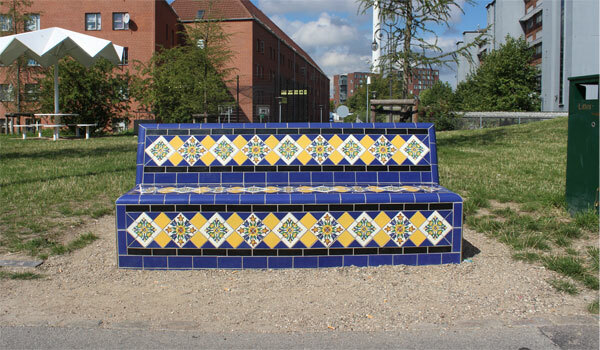 We find a bench from Kuwait and another, beautifully decorated, from Tunisia; football ground equipment comes from Syria, a bus stop from Jordan, swings from Iraq and red soil from Palestine covers the top of a slope in the park’s Black Market, while Egypt’s contribution is expressed through a metal chain joining a number of posts standing at its edge. The slope of the hill is a dream-come-true structure for neighbourhood skateboarders. According to park regulations, each inhabitant of the vicinity is welcome to place a suggestion on ways to improve the area and thus, people of all ethnicities are invited to take part in its progress. The diversity of the contributions sheds light on the numerous cultures existing and, as such, hoping to influence the development of Superkilen. The park, therefore, becomes not just an opportunity for the city to improve its public spaces, but it also brings together a large number of immigrants who made Copenhagen their home. Superkilen was recipient of an Honour Award for the Regional and Urban Design category by the American Institute of Architects in 2013. It is also shortlisted for Design of the Year by the Design Museum in London and for the European Union Prize for Contemporary Architecture.